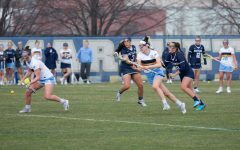 Marquette women’s lacrosse beat the Old Dominion Monarchs in Norfolk, Virginia, 17-7 Saturday afternoon. This was the Golden Eagles’ third BIG EAST game of the season and their second conference win. Marquette dominated right from the first whistle and never let go of the lead. The Golden Eagles led 4-1 in the first 10 minutes. 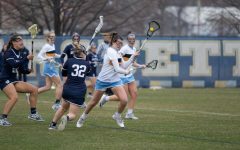 Marquette’s goals came from attacker Shea Garcia, defender Jocelyn Miller and midfielder Lindsey Willcocks. Willcocks scored twice. Miller’s goal was her first of the season. 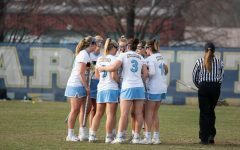 Marquette had a 10-4 lead at halftime with goals from Grace Gabriel, Caroline Stellar, Charlotte McGuire and Megan Menzuber. The Golden Eagles put the game away in the second half with a 7-3 run to start the second half. Menzuber had three goals in the second half. 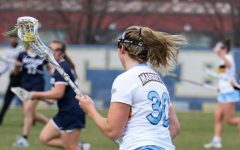 Gabriel and Menzuber led Marquette with four goals each. Gabriel moved to No. 3 all-time for ground balls after three Saturday. She also caused three turnovers, which moves her to No. 5 on the all-time list. Meanwhile, senior Cate Soccodato recorded four assists and moved into No. 2 for all-time assists. She also had three points, which moves her to No. 5 all-time for points scored. In the goal Julianna Horning became the all-time leader for wins with her six-save performance. She is 19-20-0 all-time in two seasons. 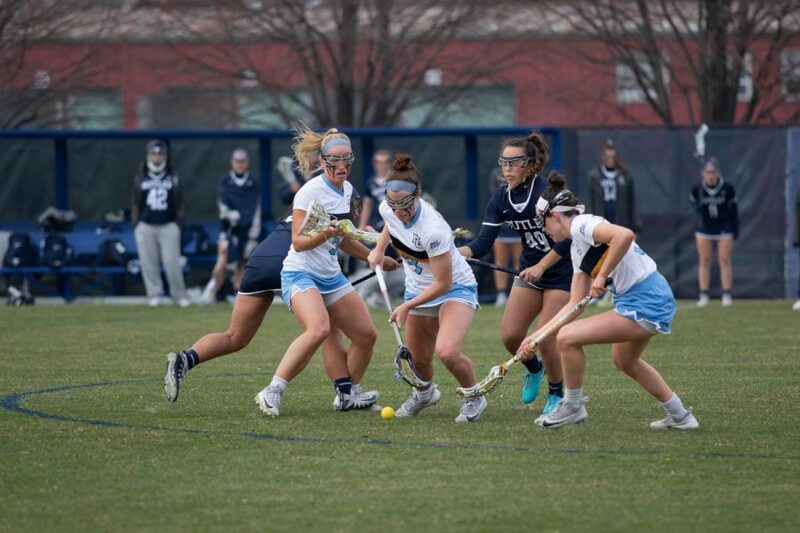 For Old Dominion, attacker Glory Johnson finished with a team-high two goals on 10 shots and three ground balls. Midfielder Katie Miller recorded a team-high five draw controls. Goalie Haleigh Wurzel finished with just nine saves, including seven in the second half. Marquette is now in good position to have a spot in the BIG EAST Tournament with a 2-1 conference record. The Golden Eagles face Denver in Colorado for their last road game of the season next Saturday. The game is slated for 8 p.m. Central Daylight Time.